‘50 Cups of Coffee’: Re-ignite Your Search For That Perfect Person! In India, come a certain age and there’s nothing more important than finding the perfect groom (or bride). But often this ‘more-serious-than-a-space mission’ can leave you befuddled, exasperated or even amused. 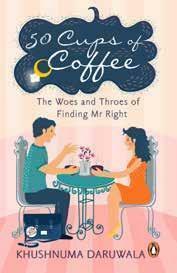 '50 Cups of Coffee’ is a hilarious and charming account of manoeuvring the minefield that is arranged-dating. 1. Can you let us know something more about your book - “50 Cups of Coffee”? Khushnuma Daruwala: ‘50 Cups of Coffee’ happened purely by accident. It started over a conversation with one of my friends who was narrating her arranged-dating experiences. Tickled pink, I offered to write them and she agreed. Luckily I was on a sabbatical which gave me some head space to get the initial chapters and style, going. This book is not a typical linear narrative and it’s definitely not a mush-fest. It’s simply a compilation of myriad experiences, musings, a few tricks, a few tips, a few flops and misgiving galore along the path to finding a man, all strung together with humour. Each chapter pertains to one facet of arranged-dating and ends with what we coined as a ‘java jolt’ – a witty musing which ties it all up. 2. What kind of experiences guided/helped you in writing- “50 Cups of Coffee”? 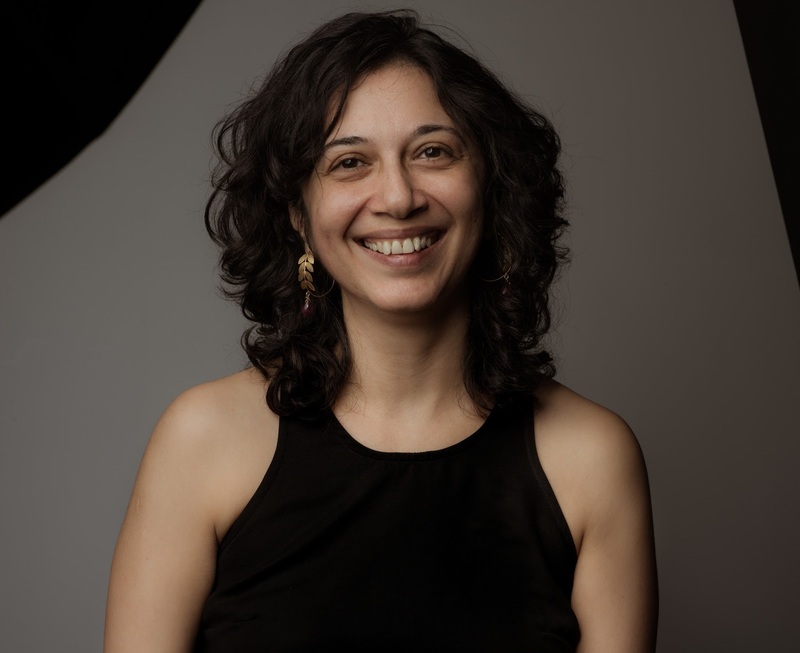 Khushnuma Daruwala: Apart from my friend who inspired the book and who I’ve retained as the protagonist I spoke to other women as well to get a better understanding of arranged-dating and their experiences. Discussing ideas on the book format and topics for the content really helped, as did reading books and articles on writing which another friend would regularly recommend. On days I suffered from a writer's block I sought solace in my two funny-favourites – James Herriot and Gerald Durrell, for amusement and hopefully inspiration. 3. Your book is about the epiphanies with finding that right person (which we prefer calling ‘Mr/Ms. Perfect’). According to you, what role does movies and books play in shaping our perspective and desires about that ‘Perfect’ person? Khushnuma Daruwala: I think our concept of Mr/ Ms Right or romance is a tad warped due to various influences – books, movies, stories among others. First come the fairy tales with their damsels in distress who need rescuing. Then comes ‘romance’ literature and movies which can often kill you with their deadly clichés – e.g. the Byronic hero (Brooding, intense and often unavailable men who might eventually soften in the presence their lady love) or the manic Pixie Dream Girl (Quirky, full of life, childlike playfulness and crazy antics which she will focus on the soulful, brooding hero until he learns to live freely and love madly again*). If you look closely some of the biggest romantic blockbusters are hinged on these two cliches. 4. If you are given an opportunity to add or edit a chapter to your book - 50 Cups of Coffee, what will it be? Khushnuma Daruwala: Nothing to be honest. I ended the book when I ran out of topics to write. As for editing, well I did tone down a few things slightly to ensure no sensibilities were offended in my writing process. If I was writing only for myself I wouldn’t have done that. 5. What inspires you to keep going everyday? And, What is next for Ms. Khushnuma - the author? OR a new role? Khushnuma Daruwala: Any creative process, be it writing a book or a paper or ideating on solutions for a brand, is what keeps me going. The fluidity and the absence of an absolute certainty is exciting. Yes, I do have a few ideas for the next book. Most authors seem to build their forte in one genre, while all my ideas are completely disparate, targeting different audiences altogether. I think I need to flesh each one out a bit to see which holds up under scrutiny and has a distinctive point of view in that genre. Who knows, it might simply be a sequel to ‘50 Cups of Coffee’. Ride the Tide! It is About to Rise!